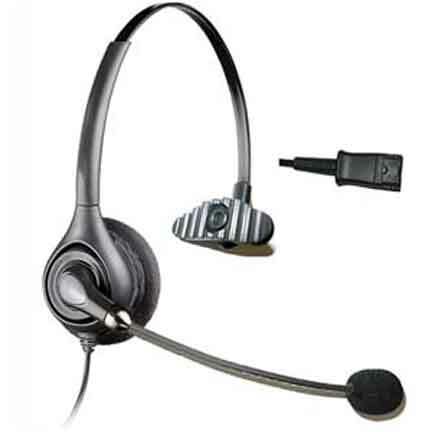 The EPHS100 is single earpiece headset with noise-canceling microphone, designed for office use. It's confortable design and clear sound quality is ideal for call center or customer support desk where your customer conversation is mission critical. The headset comes with detachable telephone adapter cord (Plantronics compatible) and carry bag, so you just disconect the adapter when you move away from the desk. Or you can keep it in the bag to store in your drawer when off duty. Telephone headsets and accessories are a constant requirement if you are using a telephone device at your home or office. Get rid of the efforts by ordering them at SF Cable and get them delivered at your doorsteps. Ear Cushion for EPHS 100 Corded Headset and Microphone Foam Cushion for EPHS 100 Corded Headset are also available among other telephone headsets. We offer all our products at competitive prices by sourcing the products directly from the manufacturers. We make sure the quality and safety of the product is not compromised at any cost. You also get good after sales service and lifetime technical support on all products ordered from SF Cable.